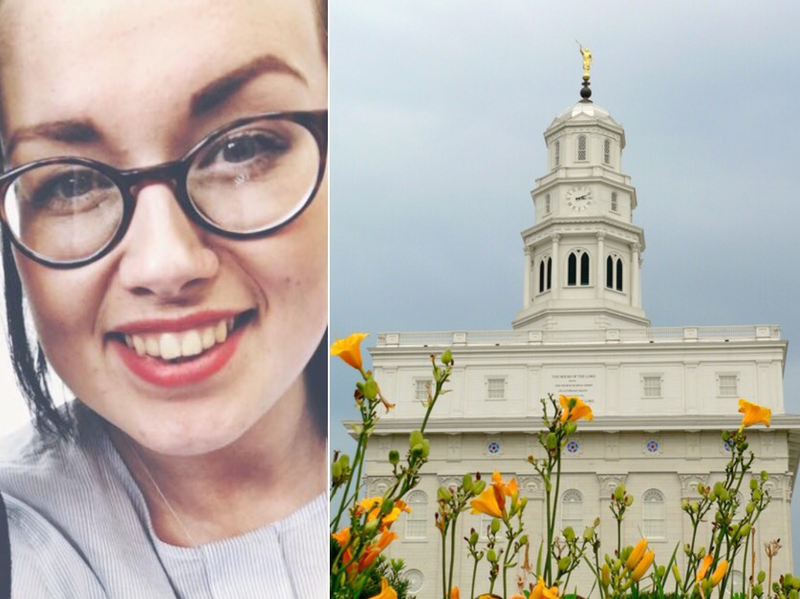 I went to Nauvoo!!!!! Freaking Nauvoo. I’m a proper Mormon now! All I need is Utah and I have a full set. No but seriously, I can’t even begin to tell you. I’ll try anyway. We were driving along the Mississippi River, (dreams do come true) and it was so not what I imagine, I was really thinking of the bayou in the princess and the frog, ‘gators and swamp like mossy banks and overhanging trees. Turns out it’s just line the Thames. But in the distance you can see where Nauvoo temple sits atop the hill, above everything else, Moroni showing the world where to look. It gave me chills. You know that feeling of tranquility when you are on temple grounds? The whole of Nauvoo has that feel. It changes when you cross over. We get there and we’re looking around and taking wagon tours and it’s so hot and muggy, there’s no heat, it’s completely muggy and thick and there’s moisture in the air. But. But it is so so beautiful. The temple covered in the sundials from the original building up on the walls of the temple, the grounds covered in blooms, and it’s all over looking the whole of Nauvoo and the river. I walks the grounds, and I’m at the statue of Joseph and his brother, Hyrum, posed on their steeds, riding away from the temple, riding away from their homes for the last time. The quote struck a cord with me. It’s insane. This is it, this is why we have what we have. We owe everything to them. They came and went before us for our plan of happiness. I can’t get over it, how I wasted my time before joining the church. It humbled me to see them as they were, as they should be remembered. The statue is shrouded by bushes, in a circle, but at every quarter circle there’s a gap – a walk way – I walked through for the view. You know I’m a sucker for a scenic view, anything for that insta! But this is where the day became my favourite! I stood there, looking out at the river, at Nauvoo, looking where the brothers looked, seeing the Nauvoo pageant being set up, and the wind!!! The breeze, the wind totally picked up. It was insane, it both made me and gave me chills, if that makes sense?! I was looking out, in this sudden gust of wind, and all I could concentrate on was one thought, I felt crazy, I couldn’t think of anything else! “I hear you!” Was all I could think, as the wind was deafening, the only frigging thing I could think, was “I hear you!” I cried. With joy, with heartbreak, with understanding, but mostly sheer joy. The revelation to me, the testimony, the truth behind it all, I wanted to hear and see about it all. So I did, we spent the rest of our day is Nauvoo going around the stalls and seeing how they loved and lived and where they lay now. My heart was touched and changed. I love this gospel and the magic it makes me feel in the most unexpected moments. It’s not everyday or all the time and that’s what makes it great. I get to have the moments like today where I cry with joy and knowledge. Today, I am happy! There are two parts to your nature—your temporal body born of mortal parents, and your immortal spirit within. You are a son or daughter of God. Physically you can see with eyes and hear with ears and touch and feel and learn. Through your intellect, you learn most of what you know about the world in which we live. But if you learn by reason only, you will never understand the Spirit and how it works—regardless of how much you learn about other things. Your spirit learns in a different way than does your intellect. … The scriptures are full of such expressions as “The veil was taken from our minds, and the eyes of our understanding were opened,” or “I will tell you in your mind and in your heart,” or “I did enlighten thy mind,” or “Speak the thoughts that I shall put into your hearts.” There are hundreds of verses which teach of revelation. Abi was learning, as Packer explained, to let the spiritual part of her nature teach her physical part the language of the spirit. Those impressions which become precious moments to us, are moments where we feel we could burst with joy. It made me realise that with the right preparation, we can seek, invite, and create those moments for ourselves.